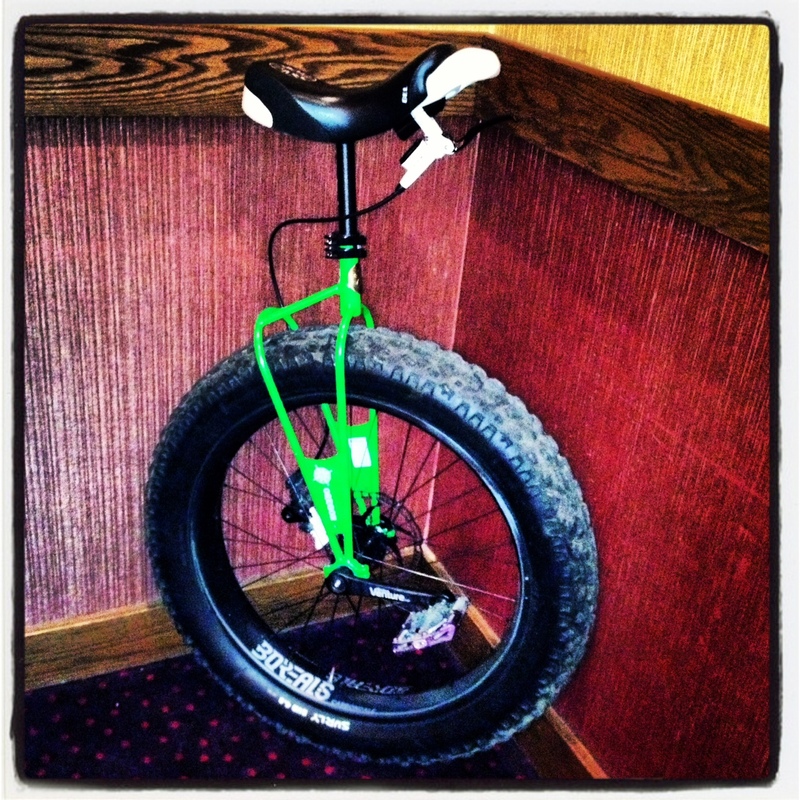 Fat Unicycle with carbon wheel. Sick!! 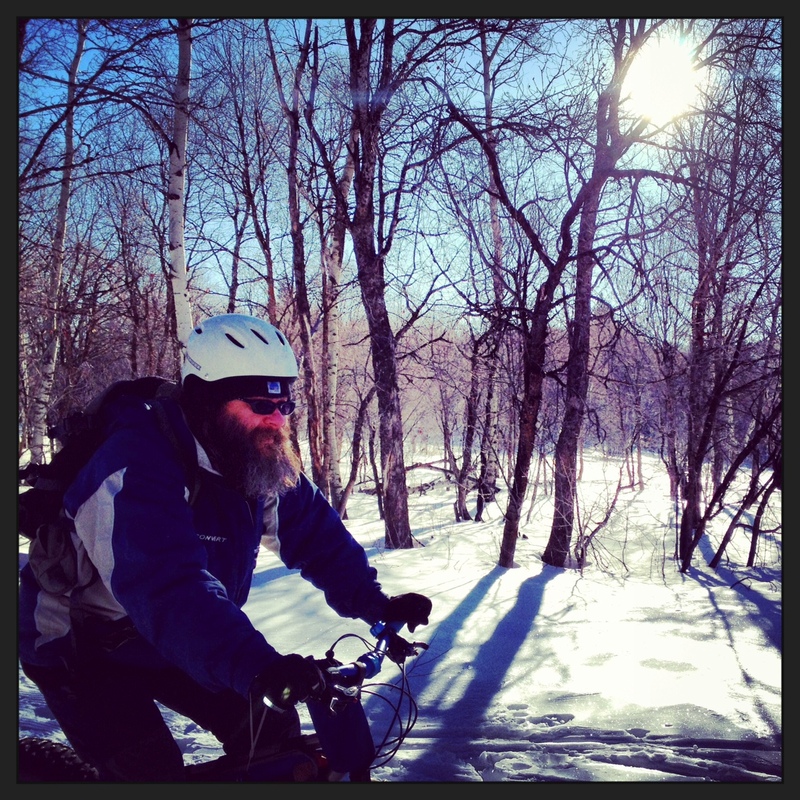 One guy is even using his fat bike to to study walruses. His bike gets him to the remote beaches without scaring the walruses away. So cool!!! 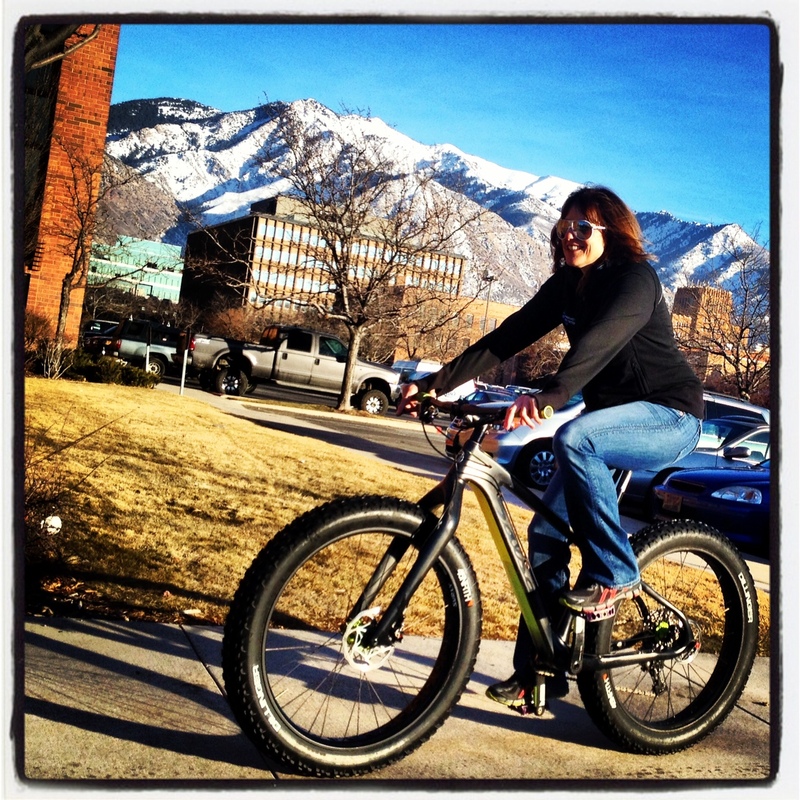 Bike shops are renting fatties in the summer to introduce newbies to mountain biking. The fat tires are confidence inspiring and the stability makes it a great “first” bike for people that might otherwise be scared to hit the dirt. 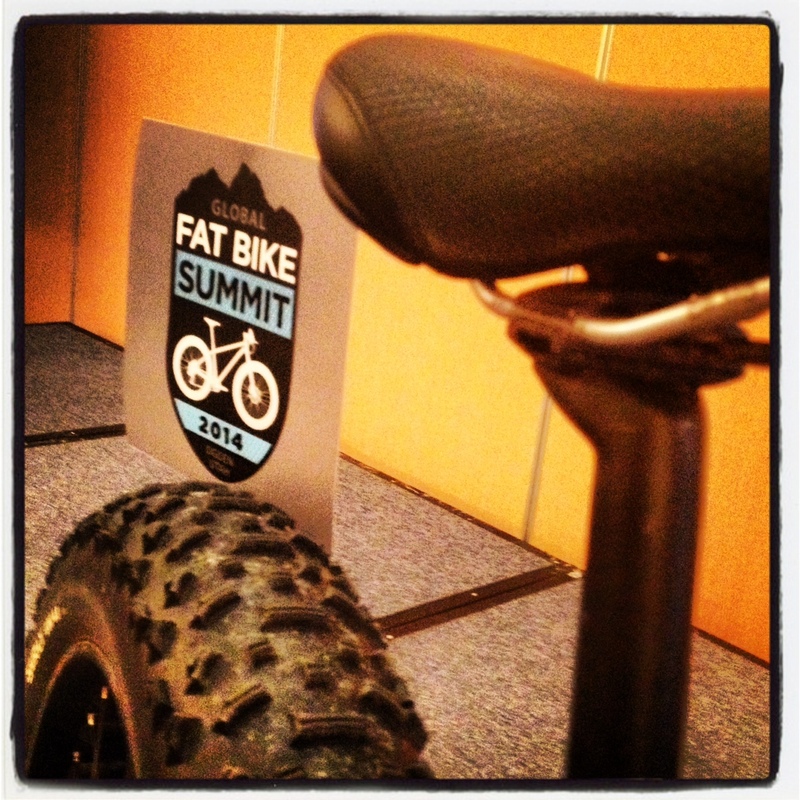 5,000 fat bikes were sold between 2005 and 2010. 15,000 have been sold between 2010 and now. Companies like Salsa are now making fatties in a size XS that fits riders 4’10” – this is getting more families to ride together, and promote a healthy, outdoor lifestyle. 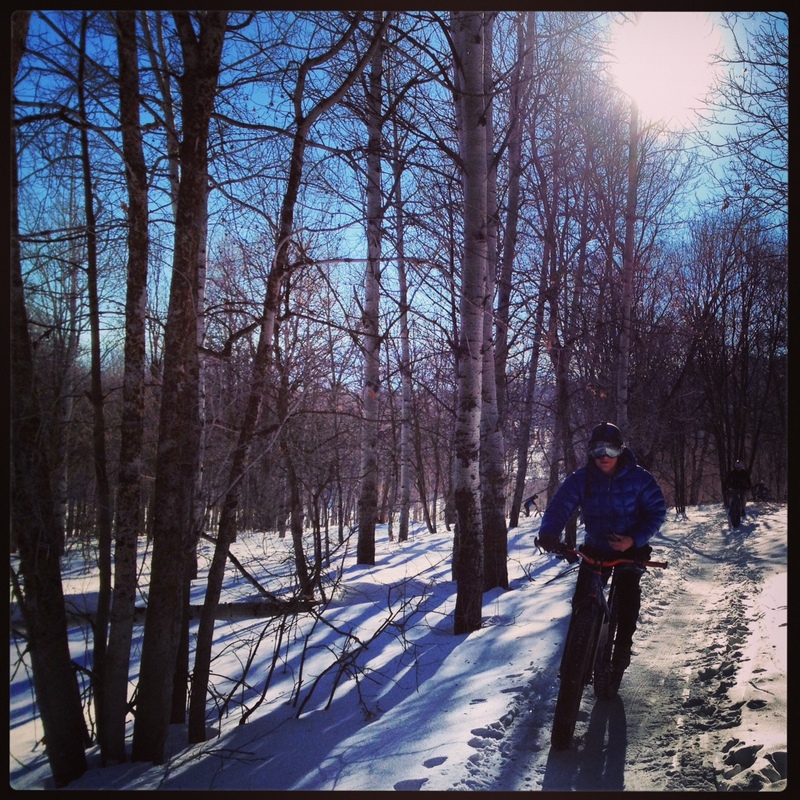 The list of nordic centers and golf courses that are offering groomed trail use for winter fat biking continues to grow. We are keeping tabs on the FBM Nordic Resorts Page. Many are using “pilot programs” (opening just a trail or two at first) to confirm that trail impact is not an issue. 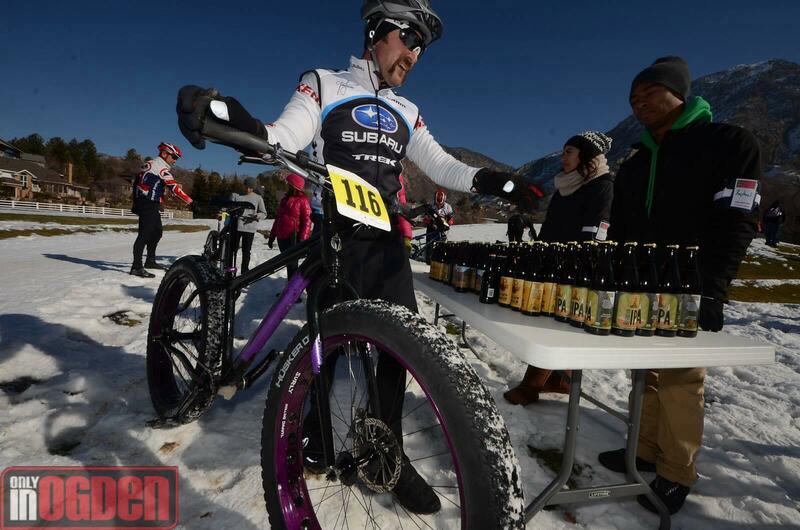 Others are doing special events, such as “Fat Tuesday’s” at Swedentown in Calumet, MI – where every Tuesday night after 6pm the trails are open to Fat Bikes. 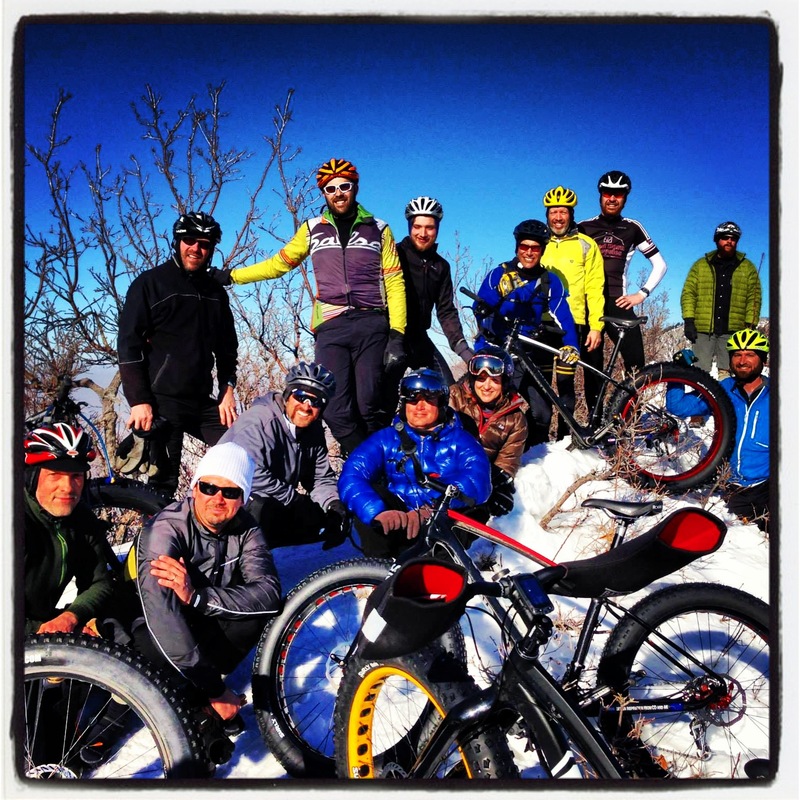 This is similar to our Full Moon Fat Bike Ride and XC Ski that we hosted, and is something we should try to expand on here in Mammoth. A fairly standardized set of “rules” is being adopted and tailored to specific resorts. 3.7″ tires or wider, no riding when leaving a rut deeper than 1″, yield to all other users, don’t ride in the classic tracks, tire pressure 10psi or lower, etc. Many nordic centers are reporting increased revenue from ticket/pass sales, bike rentals, repairs, associated gear/clothing sales, etc. 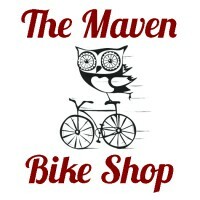 Seasonal bike shops are now staying open year-round, and also reporting increased revenue. Indirect revenue from restaurants, lodging, and tourism are also seeing a boost from the addition of this recreational activity as mountain bikers that don’t ski/snowboard or nordic ski are seeking the snow for a different type of “mountain bike vacation”. They’re also realizing that nordic skiers make up a large percentage of “fat bike converts”. 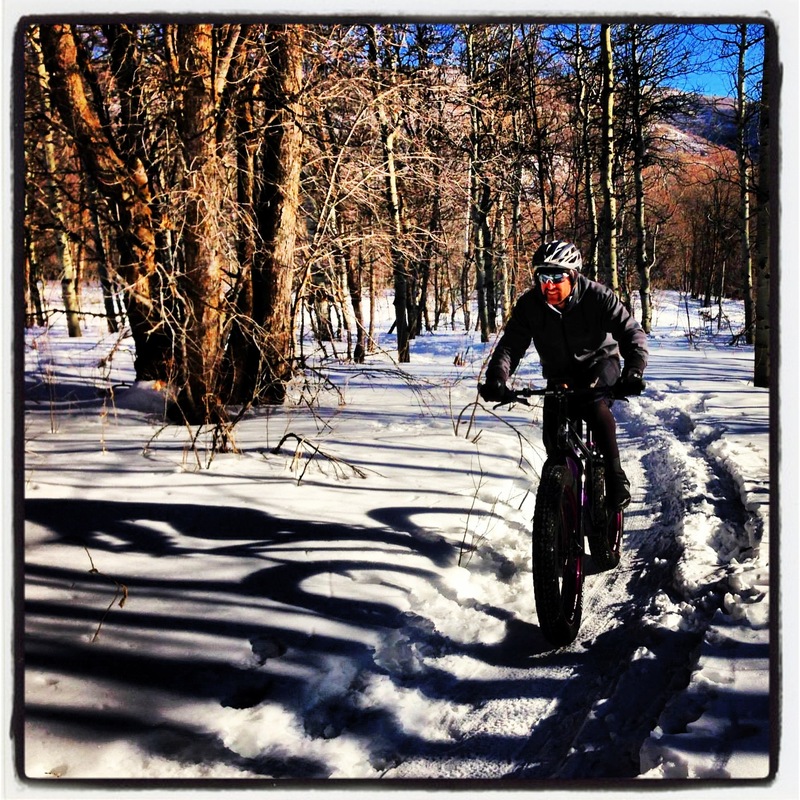 Many “beginners” are choosing to rent fat bikes instead of xc skiing because they feel more comfy and stable on a bike and have more fun. The worry of “user group interaction issues” has not been an issue at all with Methow Valley (largest xc ski center in the country). They opened to fatties in 2012/2013 and haven’t had any issues reported. Safety concerns were addressed – especially sight lines and perceived speed. It was reported that in most cases, the bikes are actually slower than average skate skiers. We also have brakes that allow us to slow/stop much faster than skiers. Still no “formal” testing data reported, although it seems each nordic center is doing their own informal tests and pilot programs. 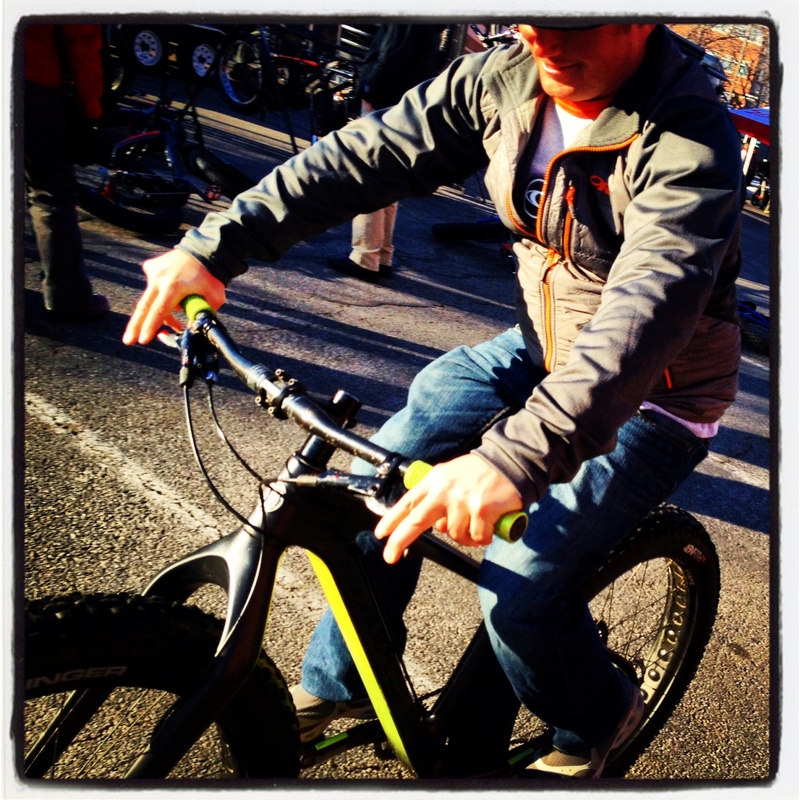 In most instances, the bike tires merely flatten the corduroy on par with the impact of skate skis. As conditions deteriorate, the bikes continue to affect the trails similarly to skate skis, and if the snow is too soft, too fresh, or the grooming hasn’t set up yet, the trails are closed to bikes. Very simple. Discretion of when it’s appropriate or in-appropriate to ride is similar to not riding a mountain bike on muddy days, where dirt trails can get permanently damaged. This is obviously much worse than temporary damage to a snow trail that gets re-groomed every day. “Demo Days” seem to be the key focus everywhere. The best way to silence critics is to get them on a bike. Not much time spent on this, since most everywhere (except our very own Inyo National Forest) fat bikes are allowed to share groomed snowmobile trail networks. In some states, fat bikers can buy a sticker much like OHV’s and OSV’s or make donations to snowmobile clubs, grooming districts, etc. to “pay in” and “show support” for grooming efforts. I wish we could do that here in CA. Click here to learn more about the District 33 Sticker Program in Teton County, Idaho. Pretty cool. 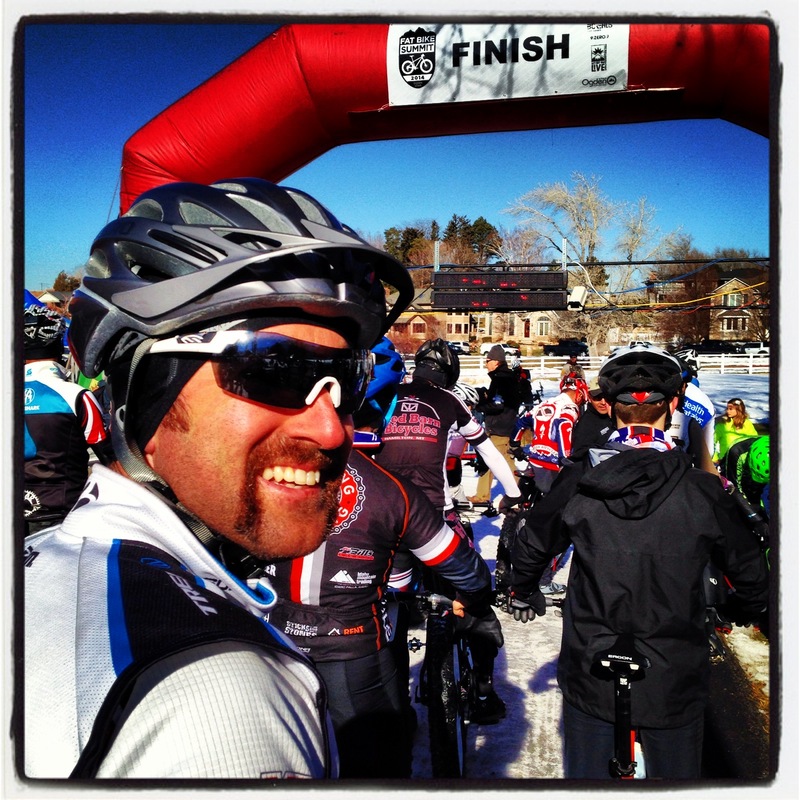 Pretty much everywhere, fat bikers are treated the same as nordic skiers and snowshoers/hikers sharing the trails, and are allowed to share trails appropriately. Overall consensus is that all user groups are getting along fine. 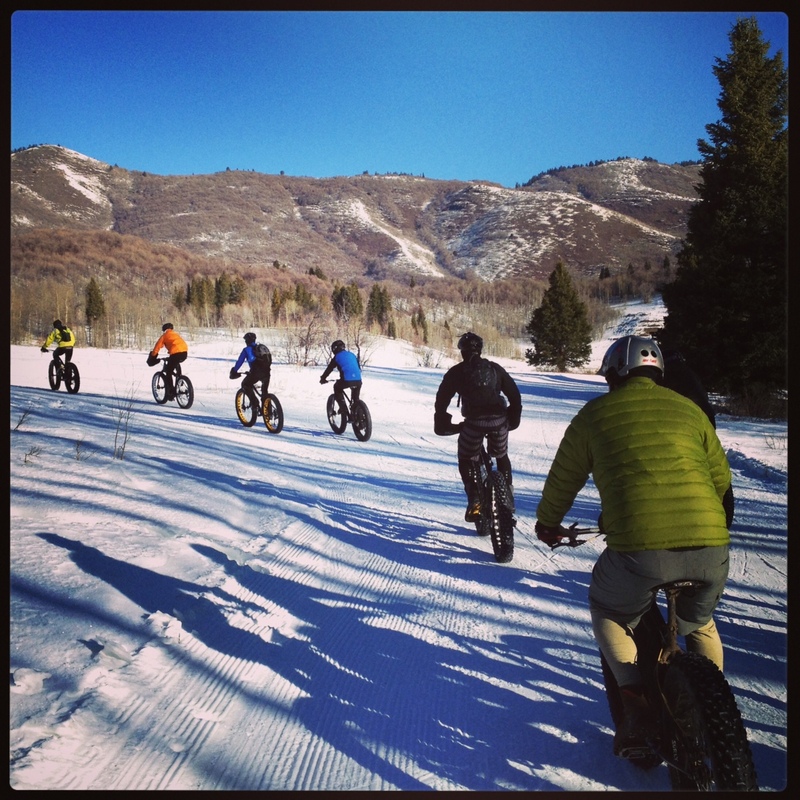 The fat bike community is being very proactive with the approach to trail access and user group harmony. We’ve learned from the battles of mountain biking during its infancy and don’t want to repeat those conflicts, since we are the “new kid in the sandbox”. Everybody at the summit seemed baffled that we could not ride bikes on the public groomed trails in our area, since they all have access and it’s never been challenged. Again, very depressing for the current state of fat biking in the Eastern Sierra. In many areas where groomed trails aren’t available, fat bikers have resorted to doing their own trail grooming and packing to increase their riding opportunities. This became apparent at the Grooming Summit held a few weeks ago in Northern Wisconsin. Click here to see pics of different grooming equipment and read an informative article about the summit. Sometimes, you get lucky, and have a trail that receives a high amount of snowshoe traffic, and that’s enough to make packed and perfect for fat biking. Most of the time though, if you want a good trail, you’ve gotta pack it yourself. Manual grooming such as snowshoeing and using pull-behind devices can work, but very time consuming and hard to do a large area. With a dedicated group of people, it can work. People have devised all kinds of home-built devices to drag behind them, but the baby sled I pull Molly in, seems to work about as well as anything. (blog coming soon about “fatpacking” trails). 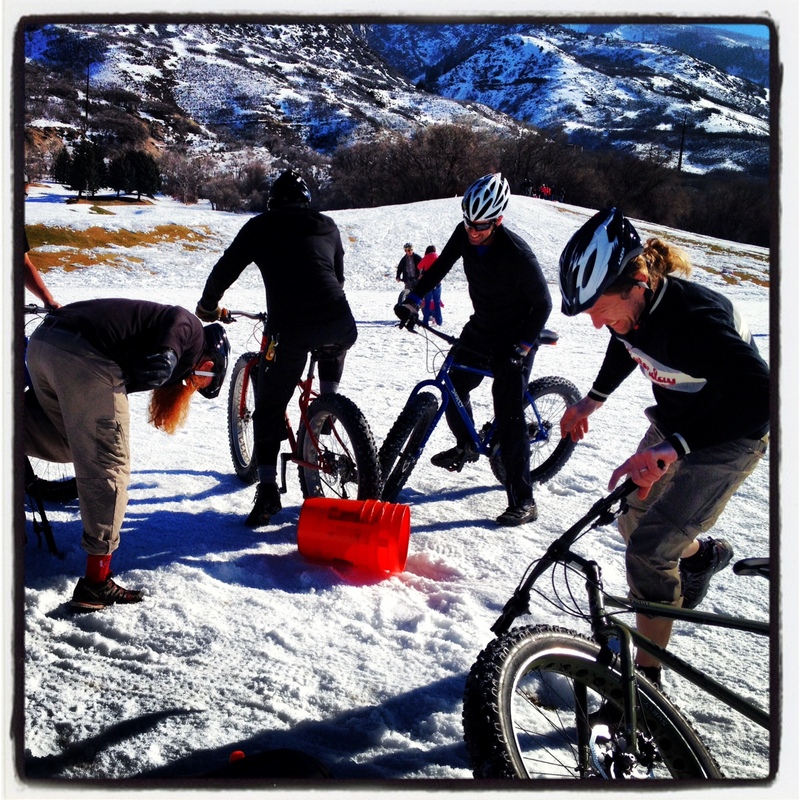 People have now graduated from manual to mechanical methods of packing snow to cover more trail in less time. Snowmobiles dragging specially designed pulls that are 20-36″ wide are creating great “snow singletrack”. These seem to be working well in areas that receive a lot of snow, but the length of the system makes it hard to navigate tight and twisty trail. Watch this clip from Cold Rolled to see how a forward-thinking group of people groomed the NTN “Snow Bike Route” in Michigan. 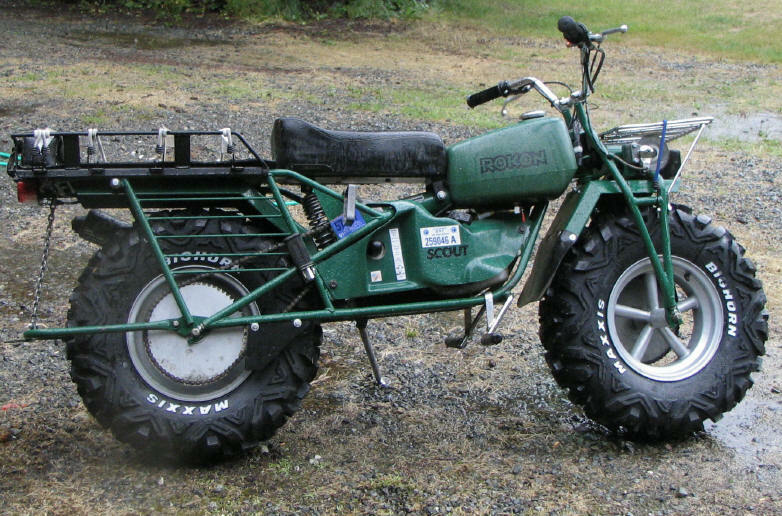 There’s also an AWD motorcycle called a Rokon, basically a motorized fat bike, that can pack down trails pretty well. Works great at packing tight and twisty trails through the trees, but not as effective in areas that receive a lot of snow (like Mammoth). Places that receive constant snow (as Mammoth usually does) are obviously tougher to maintain. So it appears that a snowmobile with a drag would be the best method for grooming fat bike trails in our area. Race Start with handlebars at the ready. The race. 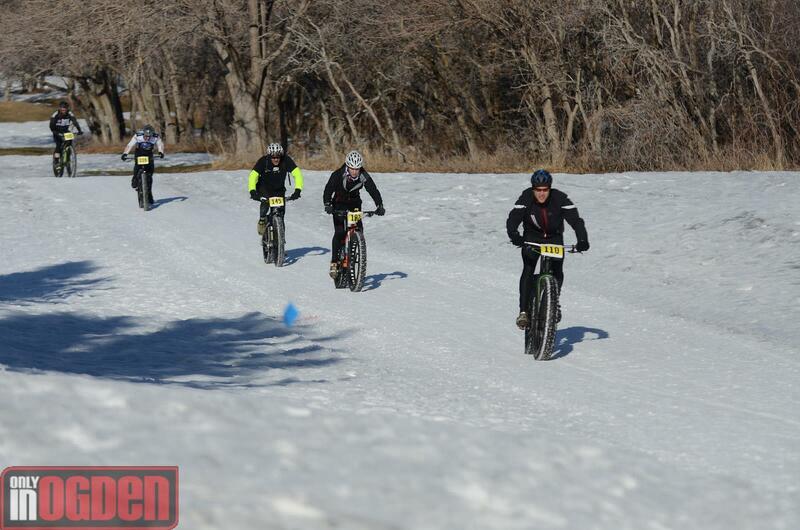 This was my first time “racing” a fat bike, and it was such a blast. I finished mid-pack in the elite race, and was the only SS as far as I saw. Pretty happy since I hadn’t been on a bike in a few weeks (doing the Drop In tour and being sick). The race was short for me (12 miles with 1,500′ climbing), and I was starting to feel good and get faster as it ended. It had a couple good climbs, and some roaring descents where you could boost a little air- overall, fun and fast with a couple icy spots that had a few people laid out arse up. Beautiful mountain views helped the vibe. Borealis representing! 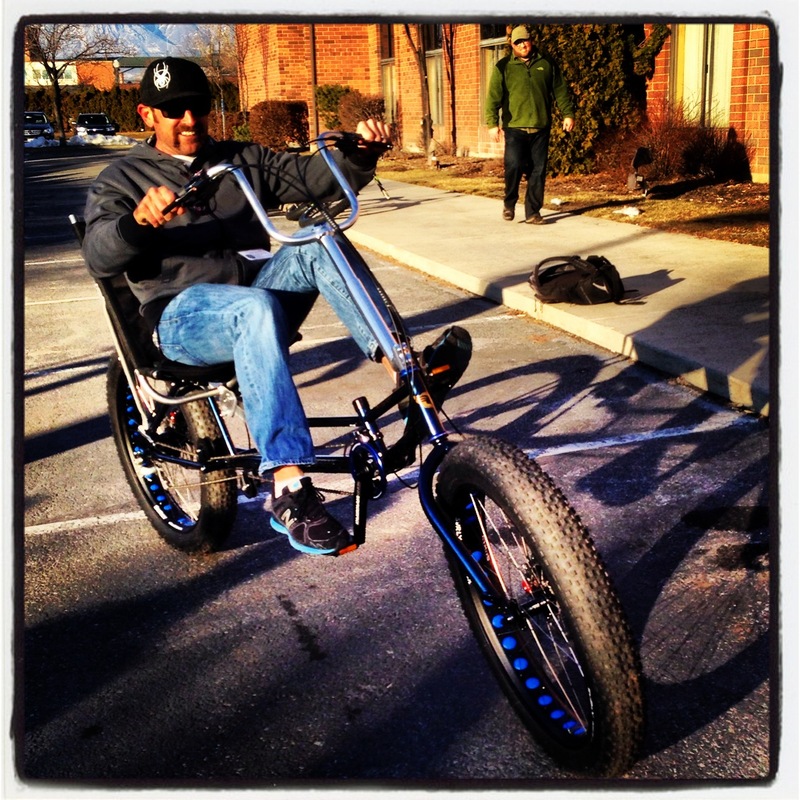 Man, those bikes are sweet!! Pure joy to to gather so many fatties in one place. They did a great job grooming the golf course, even though there wasn’t a ton of snow. Weather was fantastic. I got a super cool bottle opener and a tasty Roosters IPA for my efforts. What could be better?? Playing bucket ball post-race, that’s what!! Yes. It’s like playing soccer on bikes with a home depot orange bucket as a ball. So much fun, especially with that IPA greasing my liver. Bucket ball!! More like demolition derby at times!! 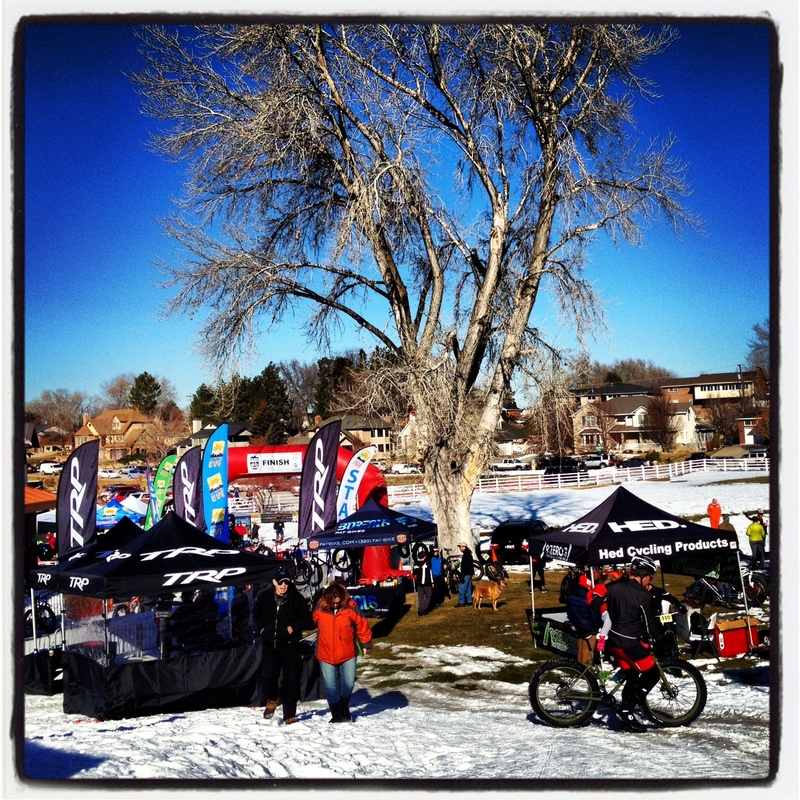 We headed up to Snow Basin ski resort to meet up with about 20 other people for the “industry fun ride”. Little did we know, the highlight of the weekend was about to be had!! 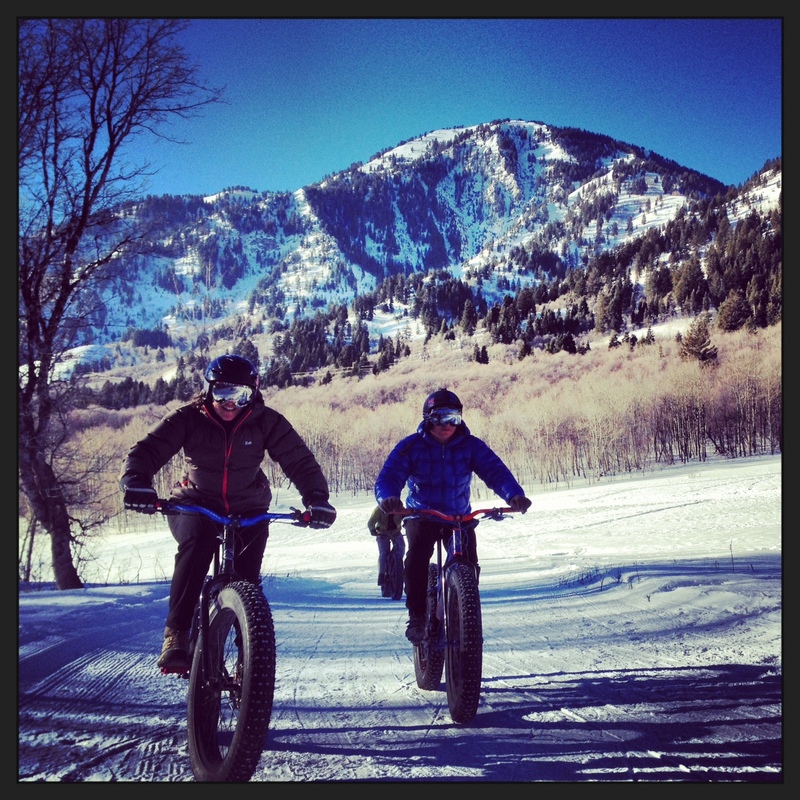 Our hosts from Fat Bike Utah were awesome, and Jason lead us up some sweet singletrack. 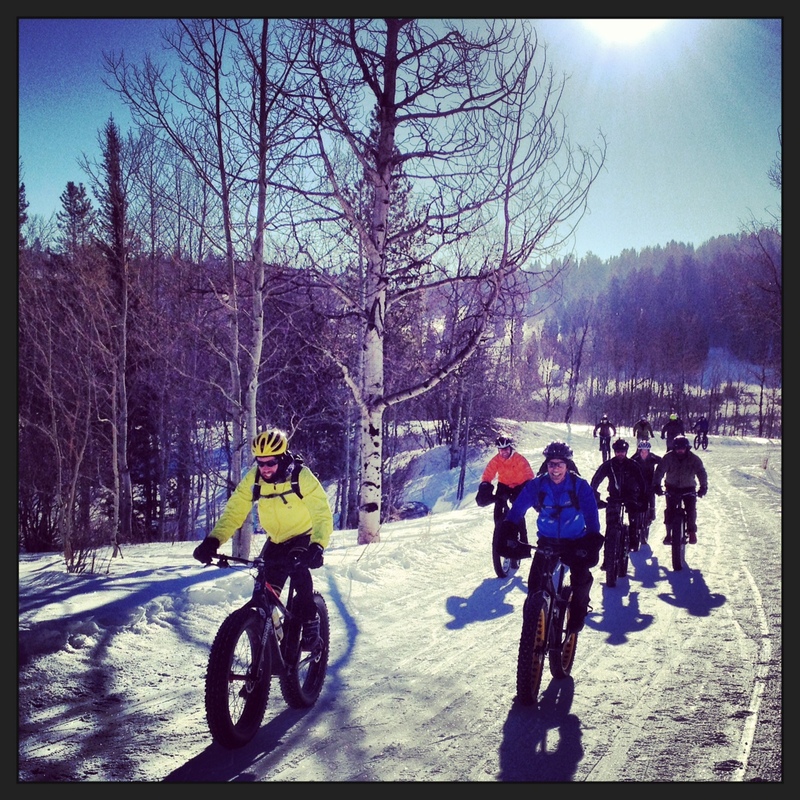 We started out on some groomed nordic trails, and eventually hit some snowshoe packed singletrack bliss. We climbed and descended an out and back up to the Ogden Canyon Overlook. Breathtaking. So fun to ride as a group. And it’s legal!! So happy to share the views and brews with friends old and new. Almost everybody endo’d into freshies at some point during the rip-roaring descent, we couldn’t stop laughing and hollering. The BBQ’d dogs, burgers, and PBR’s in the lot topped off a magical experience. Our 9 hour drive home was filled with reminiscing on good times, good beer, good food, and good friends. Life is good. 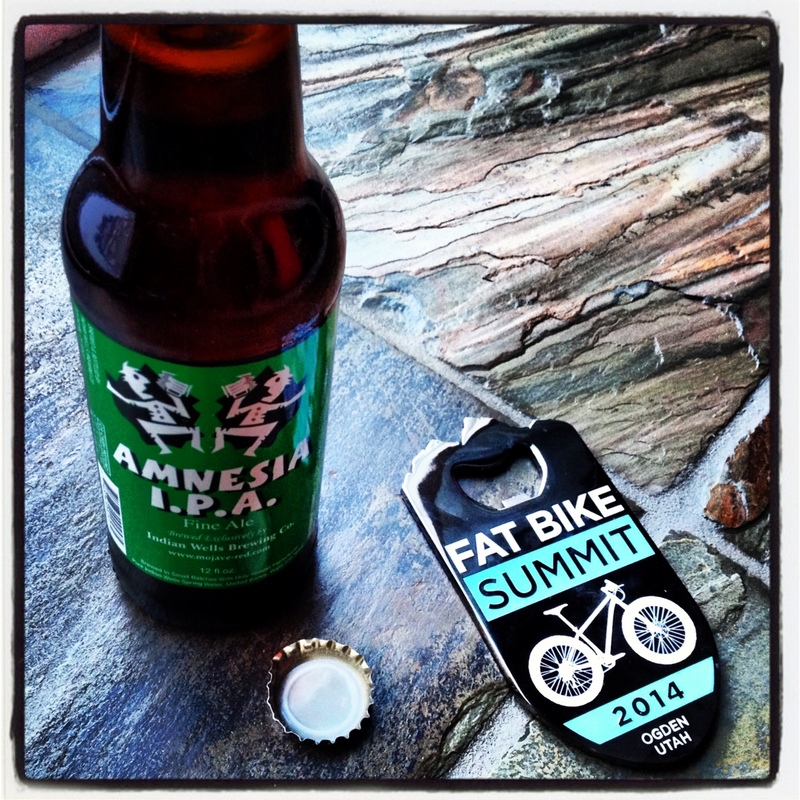 Can’t wait til Fat Bike Summit 2015!!! 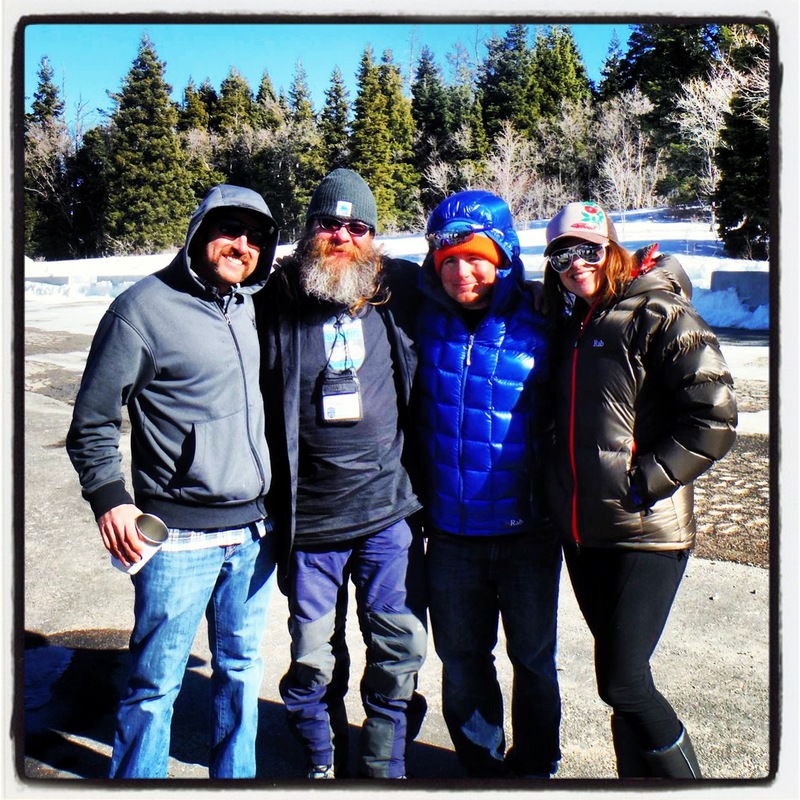 Myself, Mark, Hunter, and Jodi. Life is good. We could possibly work something out with Snowcreek Golf Course and/or Sierra Star to groom a small trail network on their property. We will gain access to the public groomed snowmobile trail network, even though it’s gonna be a long, hard fight to get the existing Forest Order amended. The trend is leading towards “snow singletrack”. Since fat bikers are mountain bikers, it only makes sense. We are already packing uptown/downtown and other trails with snowshoes. Down the road, I see purchasing a drag for my snowmobile, and can eventually see a dedicated, purpose-built winter singletrack trail system permitted through the INF. This is already happening in areas like Round Valley/ Park City, UT. 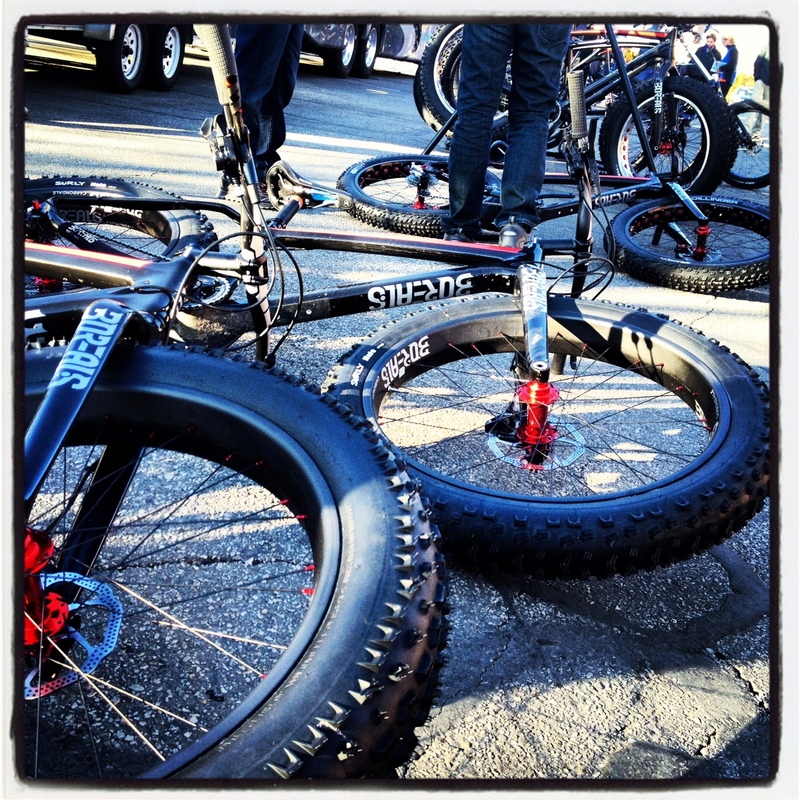 I also see Mammoth Mountain hosting a Winter Kamikaze Race or some form of special event for downhill fat biking. Imagine doing Kamikaze as a groomed snow run, and instead of hay bails there’s huge bermed turns!!! Yahoo!!! We were once the O.G. 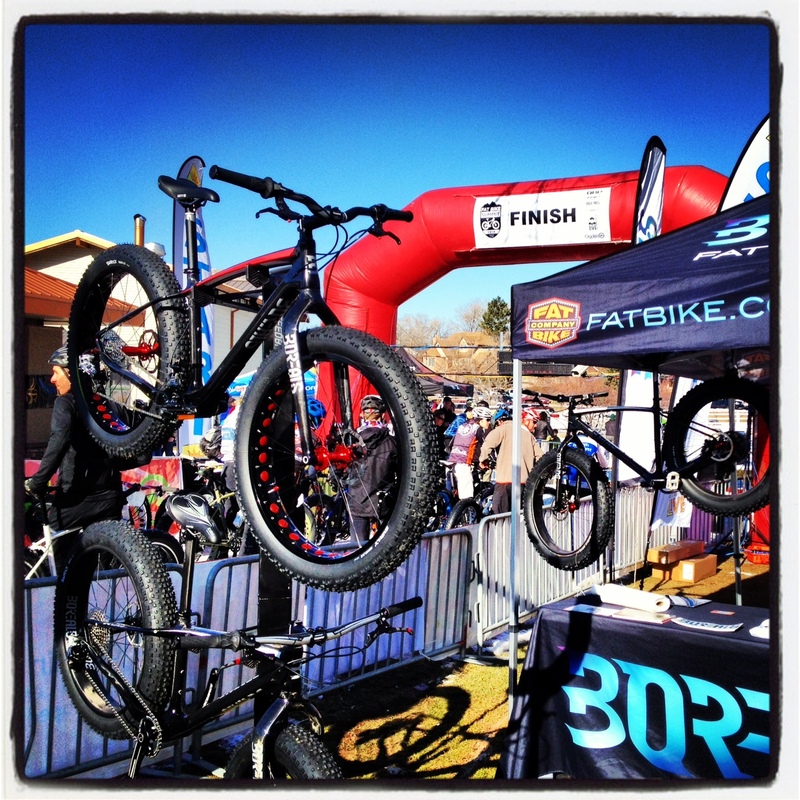 mountain bike race… we could blow the lid off with something like this. 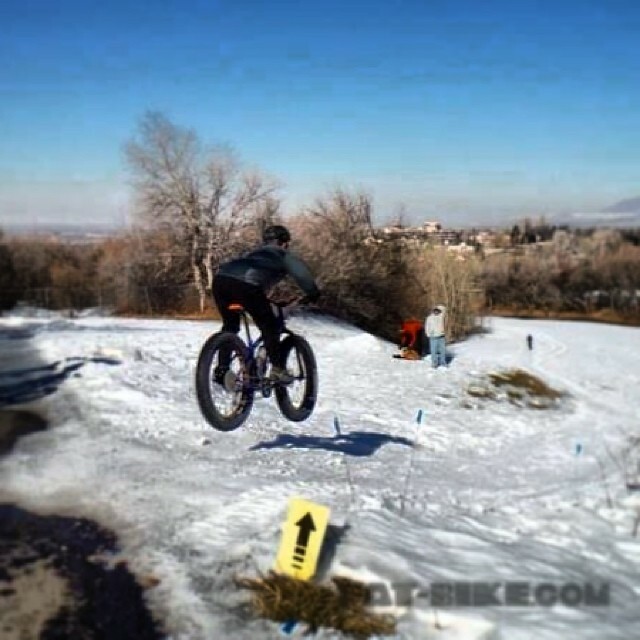 This entry was posted in Snow & Fat Biking and tagged fat bike summit 2014, fat biking, mountain biking, ogden, race, single speed, singlespeed, snow basin, snow biking, Summit. Bookmark the permalink. Thanks for the great summary! Would have liked to have been there. Next Year. My only regret is that I didn’t get to go! Thanks for the post. I forwarded it to my VT fattie-friends. 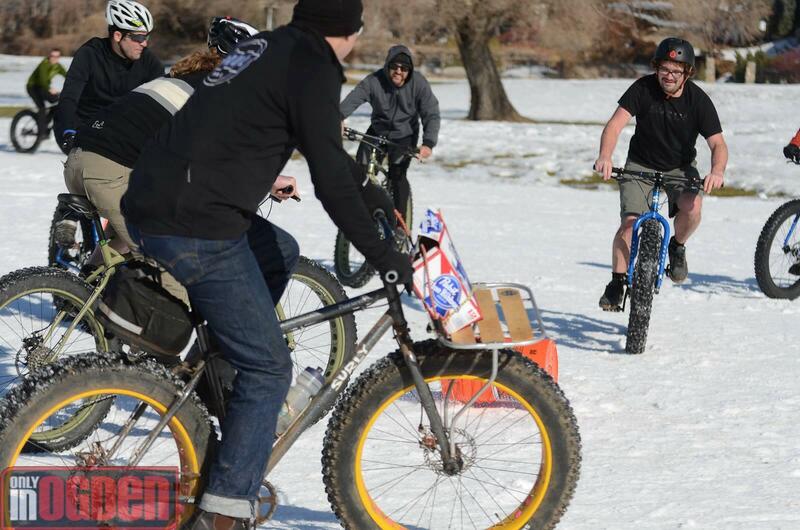 Oh also, we have in Western Mass our own bike biathlon, called the “Badassthlon”. It’s fun, but I can never go! 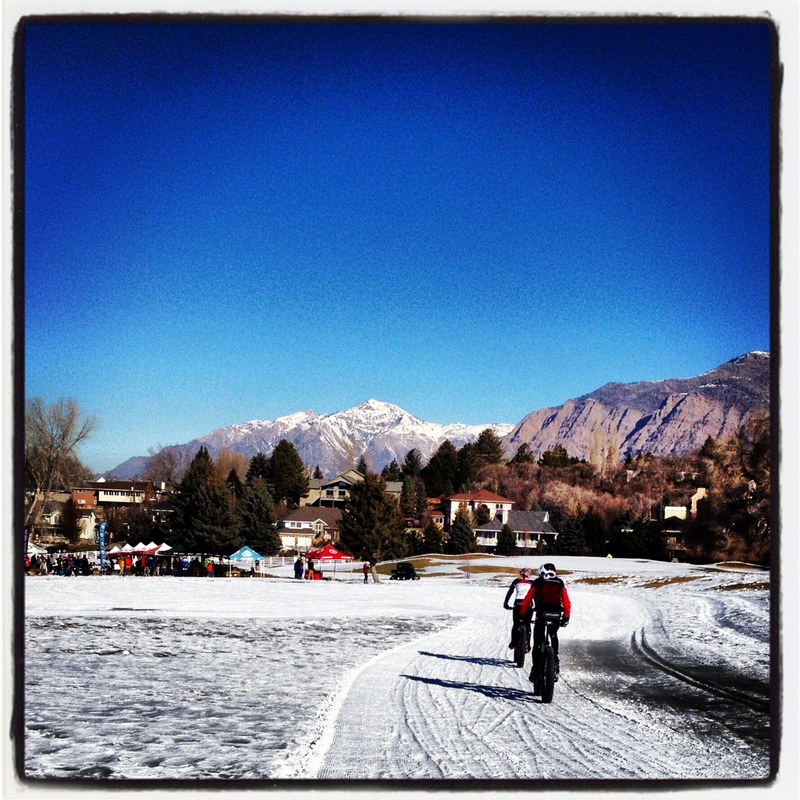 But fat bikes in the Biathlon would be amazing! nice Alan. great read. Glad u had a good time. Like the Mammoth ‘to do’ list.